An oral surgeon, also known as oral and maxillofacial surgeon is unique among dental specialists in a number of ways. After completing four years of dental school, they go on to spend another four years in a hospital-based residency program for surgery. There, they are trained alongside other medical residents in the techniques of emergency medicine, general surgery and anesthesiology. In fact, they are the only health care specialists (aside from anesthesiologists) who can administer all levels of sedation, up to general anesthesia. Oral and maxillofacial surgeons focus on treating problems related to the hard and soft tissues of the face, mouth, and jaws (the upper jaw is referred to as the maxilla). While they sometimes work in a hospital, their practices are more often located in comfortable office settings. You may be referred to one of these specialists by your general dentist for a complex tooth extraction. Or, your orthodontist may send you for an examination if he or she suspects a problem with the alignment of your jaws. It isn’t necessary to have an oral surgeon perform every type of oral surgery; many dentists are expert at the more common procedures, such as simple extractions. However, for complex treatments that may require more invasive procedures or deeper levels of sedation, these specialists may be recommended. Tooth extractions are possibly the most common procedure that oral surgeons perform. Patients are often referred to these specialists when wisdom teeth are impacted—that is, forming in a position where they can’t erupt or grow into the bite properly. Minor surgery is usually required to remove impacted wisdom teeth, and is generally recommended even if the impacted teeth aren’t (yet) producing any symptoms. Fortunately, this procedure is routine, and it is often done in the dental office using the techniques of sedation dentistry. Corrective Jaw (Orthognathic) Surgery is sometimes needed when orthodontics is not enough to correct a misaligned bite. In other cases, surgical treatment is necessary to repair congenital abnormalities (birth defects), or to treat severe orthodontic conditions, skeletal problems, and other disorders. In this procedure, usually performed under general anesthesia, the bones of the face and jaw may be reshaped and repositioned, and the jaws and teeth realigned. Oral surgeons often work closely with orthodontists in planning and carrying out this type of surgery, which may be needed when orthodontics alone can’t correct the problem. Cleft lip /palate surgery is a special type of surgery often performed by oral and maxillofacial surgeons to correct the changes in facial structure caused by this birth defect. Reconstructive surgery may be necessary after traumatic dental injury or facial trauma, which can result from an auto accident, a workplace injury, and many other causes. 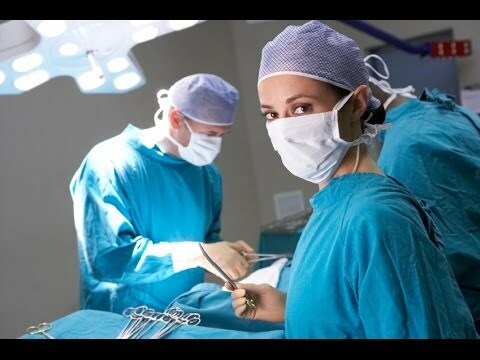 This surgery is also sometimes needed following the removal of a tumor or another operation. Oral and maxillofacial surgeons specialize in repairing and reconstructing facial structures, and are adept at working with both hard and soft tissues. These specialists can also set a solid foundation for cosmetic and restorative dental work, including the placement of dental implants, the system of tooth replacement preferred by many patients. Depending on the condition of the jaw, bone grafting procedures may be required for proper placement of the implants in the jaw. When dentures are the chosen tooth replacement method, oral surgeons can smooth and reshape alveolar (jaw) bone as needed, to ensure a comfortable fit in the mouth. In addition to these common procedures, oral and maxillofacial surgeons may be called on to consult with cases of obstructive sleep apnea, facial pain and infection, biopsies and removal of lesions, and diagnosis and treatment of some oral cancers. The extensive clinical experience these specialists bring to their patients can provide help when it’s needed most. Dr. Jared Bowyer DDS is a dentist in Vancouver, WA. To learn more, please visit our website or give us a call at (360) 253-2640, we will be more than happy to answer your questions. Posted in Types of Dentists.